1. Derogatory events such Foreclosures, Short Sales, Deed in Lieu of and Bankruptcy will have a major negative impact on your credit score and usually decreases your credit score about 200-300 Points. Depending on how old they are and what you have done to establish a good credit since then, you may or may not be qualify for a mortgage loan. To find out about your specific situation; what do you need to do and/or how long do you have to wait to qualify for a mortgage loan, talk to your favorite lender. Table below answers the question concerning people who have had a foreclosure, short sale or bankruptcy is when they will be able to qualify for a mortgage loan. 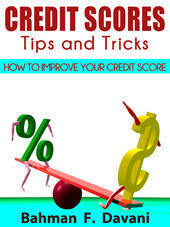 • No more than 2 installment or revolving debt payments 30 days past due in last 24 months. • No installment or revolving debt payments 60 or more days past due since the discharge/completion date of BK. • No housing debt payments past due since discharge/completion of BK. • No new public records BK, foreclosure, deeds-in-lieu, unpaid judgements/collections, garnishments, liens since discharge/completion of BK.